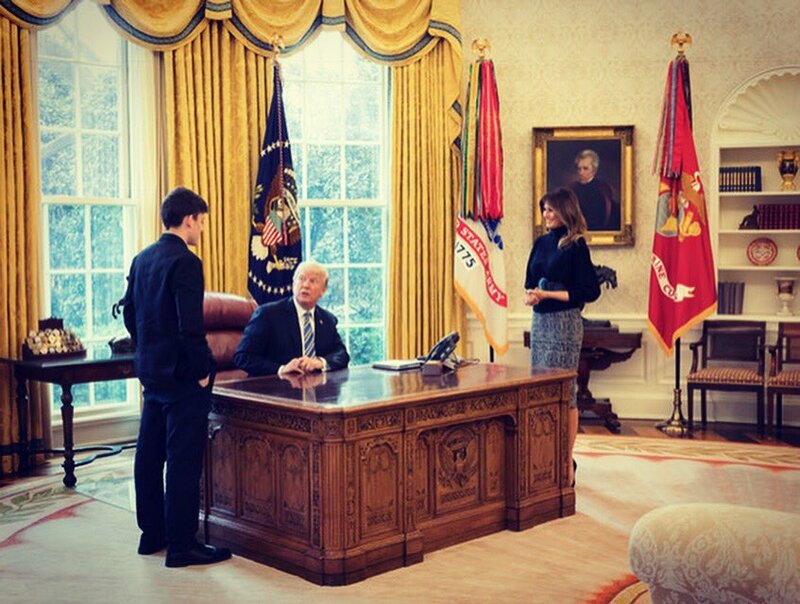 9 Mar 2018 Washington, D.C.
Melania Trump looked like she stepped off the runways of Milan when she greeted Stoneman Douglas High School student Kyle Kashuv at the White House in an oversized belt with a giant buckle and suede Manolo Blahnik pumps. Oversized belts were all over the runways this season, especially at the Versace Fall/Winter 2018 show, which featured giant belts with decorative gold buckles. 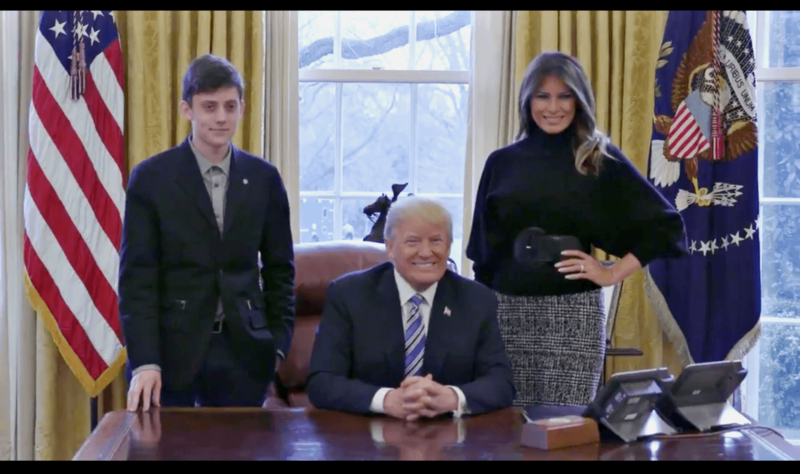 Keeping her color palette neutral, Mrs. Trump wore a black turtle-neck sweater with quarter sleeves and a Ralph Lauren checkered skirt from the brand’s Fall/Winter 2017 collection.